As women, we tend to spend hours to attain that perfect make-up look. But no matter how exquisite the make-up application is or how creative we have gotten with the eyeshadow look, it does not really have a beautiful effect unless the complexion is naturally smooth and radiant. How do I achieve the perfect base? Healthy skin is a prerequisite for the perfect make-up base. Thus, we need to start off by using the best skincare products that are suitable for your specific skincare needs. It is crucial to use products that are toxin-free. The next step is choosing the type of make-up products you would like to use. Be selective in choosing make-up products since it will be on your face from when your step out of the house until the evening. Therefore, we recommend opting for brands that offer high-quality ingredients, are 100% natural and proper pigmentation. puroBio cosmetics offer just that! Each of their products provides was created to give the skin a professional make-up look. The substances used are carefully selected offering customers value for money. More and more women are choosing puroBio cosmetics as a make-up base since their selection of products offer medium to high coverage and are suitable for normal to oily skin types. Their concealer is perfect for all skin types to expertly cover up any blemishes, whereas the BB Cream provides normal for drying skin types with medium coverage. How do I attain light coverage on oily skin? 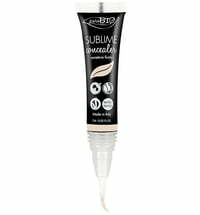 We recommend using the puroBIO BB Cream and setting it with the INDISSOLUBLE or Primer Loose Powder. If this does not suffice, try applying the Primer for oily skin first. How do I attain high coverage on dry skin? This can be achieved by using a base specially designed for dry skin. 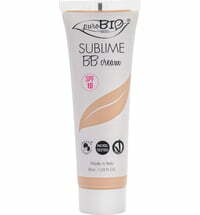 Then blend the base with the Primer or BB Cream to form a more liquid base. How do I achieve long-lasting results? 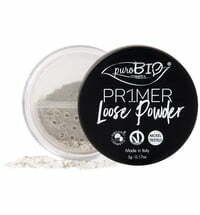 Thanks to the powder, primer and high-quality puroBio products your make-up look is able to keep up with any conventional and synthetic products for a long-lasting effect. Have you tried puroBio’s fantastic range of products yet? You can browse the selection here!